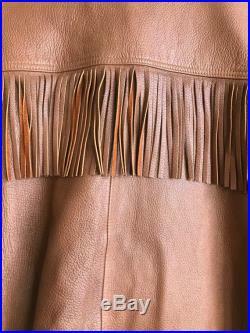 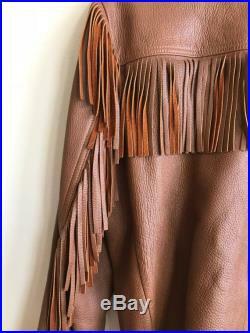 We never want to part ways with this 1960s brown leather tassel jacket. 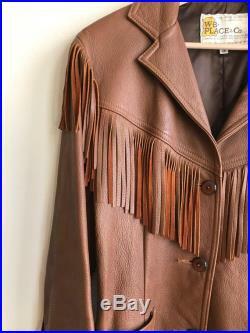 It is truly one of a kind and in the best condition a vintage jacket of this nature could be in. 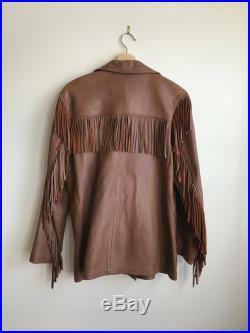 A fantastic addition to any vintage lover's collection. 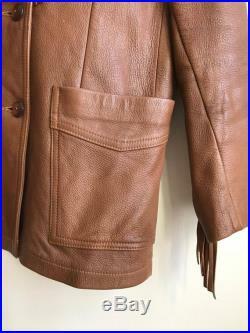 Fabulous jackets is made of the most supple leather in pristine condition. 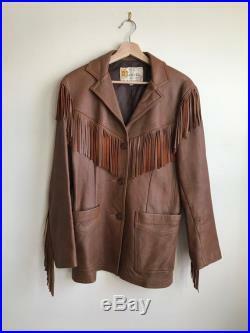 Jacket is fully lined and fully rock n' roll (paging all neil young wanna-bes). 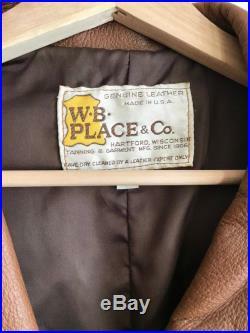 100% leather & made in hartford, wi usa by w. Labeled a a men's size 38--fits like a men's small or women's size large.